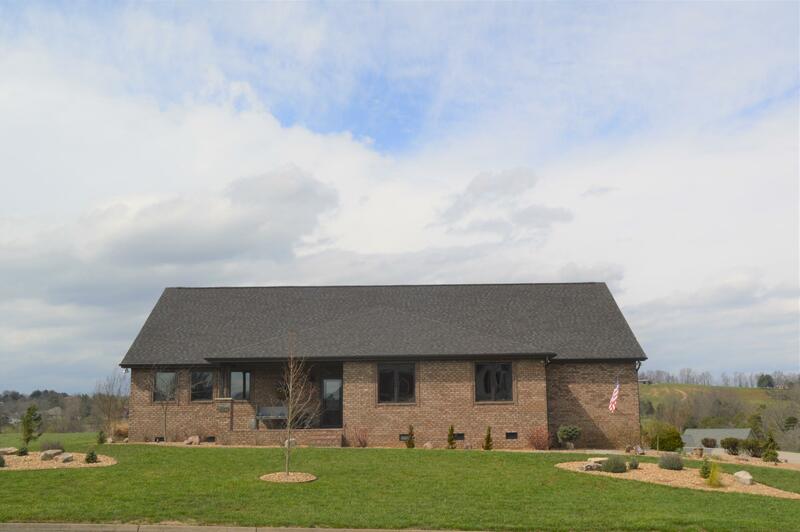 Buyers & Sellers | Michelle Fellin<br>RE/MAX Preferred Properties, Inc.
Seymour was originally the site of Newell’s Station, a frontier station established by early Sevier County pioneer Samuel Newell (1754–1841) in 1783. The first court of Sevier County, State of Franklin, was held at Newell’s Station in March 1785. During the 19th century, the community was known as Trundles Crossroads, where the main road from Sevierville forked, with one branch continuing northward to Knoxville and one branch westward to Maryville (now the intersection of Boyds Creek Highway and Old Sevierville Pike). Upon completion on December 18, 1909, of the Knoxville, Sevierville & Eastern Railway, the community’s station was named Seymour in honor of the line’s chief engineer. The Trundles Crossroads Post Office changed its name soon after to reflect the community’s new designation. Seymour is located at 35°52′14″N 83°46′33″W (35.870533, -83.775936). The community is situated in a rolling valley where the Foothills of the Great Smoky Mountains give way to the Ridge-and-Valley Appalachians. Bluff Mountain, the northern terminus of the Chilhowee Mountain ridge, rises prominently to the south, while the Bays Mountain ridge passes to the north. According to the United States Census Bureau, the CDP has a total area of 12.6 square miles (32.7 km²), of which 12.6 square miles (32.7 km²) is land and 0.009 square mile (0.02 km²) (0.07%) is water. Chapman Highway (part of U.S. Route 441) traverses Seymour, connecting the community with Knoxville to the north. Near the center of Seymour, Chapman Highway forms a four-way intersection with U.S. Route 411, which approaches from Maryville to the west, and Boyds Creek Highway (State Route 338), which approaches from Boyds Creek to the east. At this intersection, Chapman Highway merges with US-411, and continues southeastward to Sevierville. As of the census of 2000, there were 8,850 people, 3,431 households, and 2,669 families residing in the CDP. The population density was 700.0 people per square mile (270.3/km²). There were 3,624 housing units at an average density of 286.6/sq mi (110.7/km²). The racial makeup of the CDP was 97.95% White, 0.36% African American, 0.16% Native American, 0.47% Asian, 0.23% from other races, and 0.82% from two or more races. Hispanic or Latino of any race were 0.87% of the population. There were 3,431 households out of which 33.5% had children under the age of 18 living with them, 66.2% were married couples living together, 8.9% had a female householder with no husband present, and 22.2% were non-families. 19.0% of all households were made up of individuals and 6.2% had someone living alone who was 65 years of age or older. The average household size was 2.57 and the average family size was 2.93. In the CDP the population was spread out with 24.3% under the age of 18, 7.8% from 18 to 24, 29.5% from 25 to 44, 26.6% from 45 to 64, and 11.8% who were 65 years of age or older. The median age was 38 years. For every 100 females there were 95.4 males. For every 100 females age 18 and over, there were 91.3 males. The median income for a household in the CDP was $40,896, and the median income for a family was $45,244. Males had a median income of $30,568 versus $24,611 for females. The per capita income for the CDP was $18,064. About 3.2% of families and 4.2% of the population were below the poverty line, including 3.5% of those under age 18 and 5.7% of those age 65 or over.